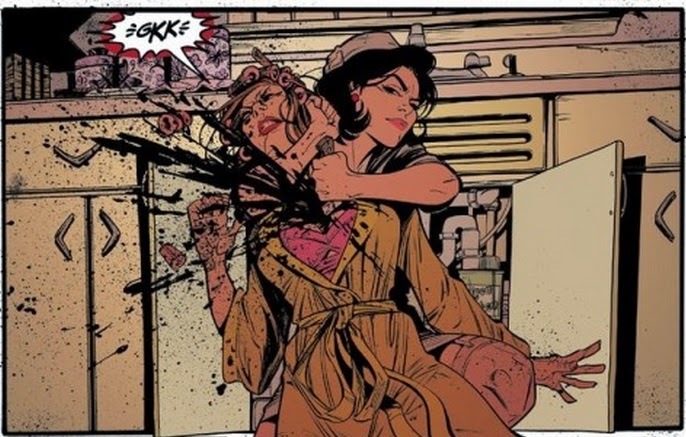 It's been a very long while since I've talked about comics on here, so I figured I'd chime in on a new title from Dark Horse called Lady Killer. However, there was more to this than its delicious premise. The art (also by Jones) is extremely appealing with wonderful use of colour. 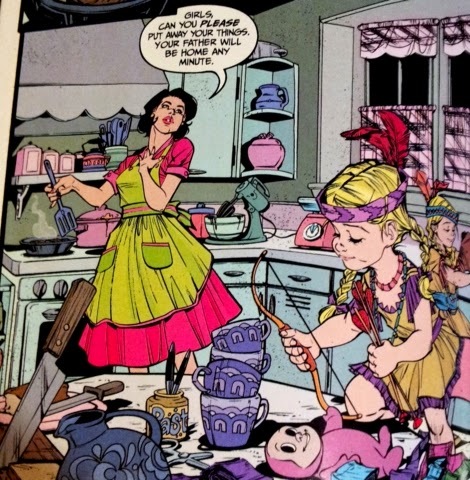 I really liked that the colour palette was a lot more vibrant when Josie - the title character in question - was playing the homemaker than when she was on a job. This technique is often employed in film, but I've never seen in it done in comics before. I don't really read a lot though, so it could be common practice. I also really liked the balance between the whimsical nature of the art and the stark violence that was represented within it. My only disappointment was its short length. Then again, I usually read trades, so singles always seem really brisk to me. The inaugural issue was all about setup and was over before I knew it. I'm definitely in, though. 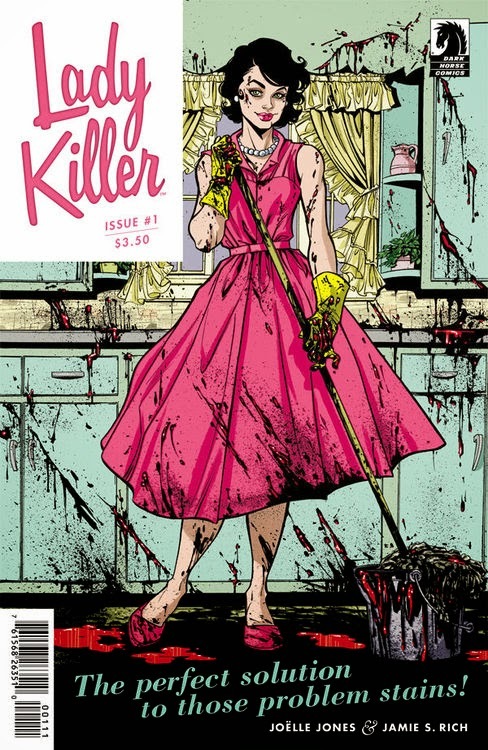 For more info, check out the Lady Killer Tumblr.